Enter the Coca-Cola Round the Clock Refreshment Instant Win Game for a chance to win one of over 19,000 prizes including airline tickets, snowboards, and Team USA branded products. Enter daily by 2/25/18. 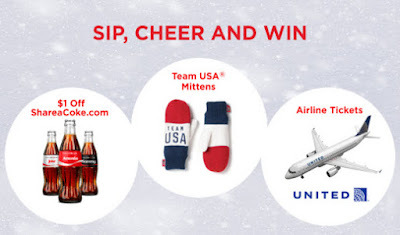 You must login to your Coca Cola account to enter.